New Dental Practice for the Paisley Community! Are you looking for a dentist in Paisley? Well, you have come to the right place because our clinical care team at Brite Dental Paisley can offer you a number of NHS and cosmetic dentistry treatments including teeth whitening, crowns, veneers, orthodontics, dental implants and more. 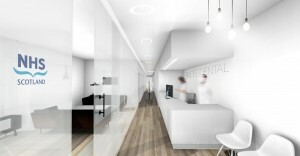 Soon we will be able to offer you even better dental facilities and care, because we will be moving to the new and highly advanced dental clinic in Paisley. We are absolutely delighted to announce that our team has secured a new location for the new Brite Dental practice. The new Brite Dental building will be located on 27 Neilston Road – 4-6 Barterholm Road. It will be a modern high technology practice with 10 dental chairs offering greater access to all NHS and cosmetic dentistry patients in Paisley and surrounding communities in 2015. If you would like to find out more contact our dental practice in Paisley on 0141 889 2012 or 0141 889 3165. This entry was posted on Friday, August 8th, 2014 at 11:47 am	and is filed under Brite Dental News, Brite Dental Paisley, NHS Dentistry. You can follow any responses to this entry through the RSS 2.0 feed. You can skip to the end and leave a response. Pinging is currently not allowed.